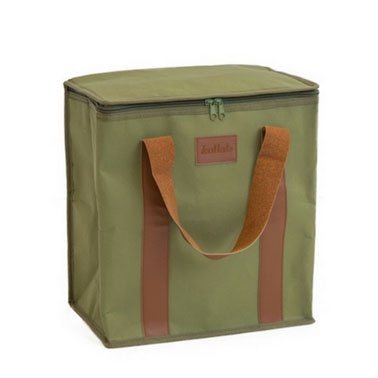 This cooler bag is made using washable kraft paper, the raw material is natural fibre pulp and is made without any harmful substances. The washables material can be recycled. Taking environmentally friendly up a notch and making it stylish!